Reminds me first of a sugared rum, ripe mirabelle plums, then Bailey's, cream, vanilla, toffee, as at Bailey's also some alcohol, hot coffee. Sweet, almost liqueur-like, oily, caramel, Bailey's, marzipan, vanilla. Menthol, honey, just a little bit bitter, long. 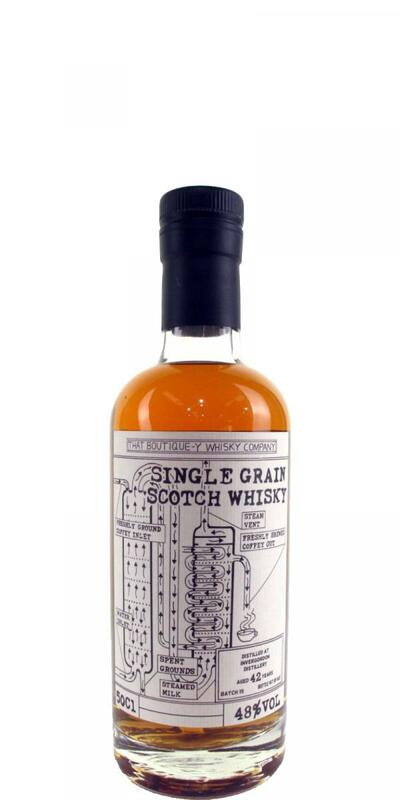 Tasting Note by The Chaps at Master of MaltNose: Mango and papaya fruitiness. Milk bottle sweeties, chocolate buttons and charred oak. A hint of Ready Salted crisps. Palate: Fried plantain, apple skins, chilli chocolate. Rich notes of old leather and clove stick around on the mid-palate. Finish: Brandy snaps, desiccated coconut and dark chocolate mousse.